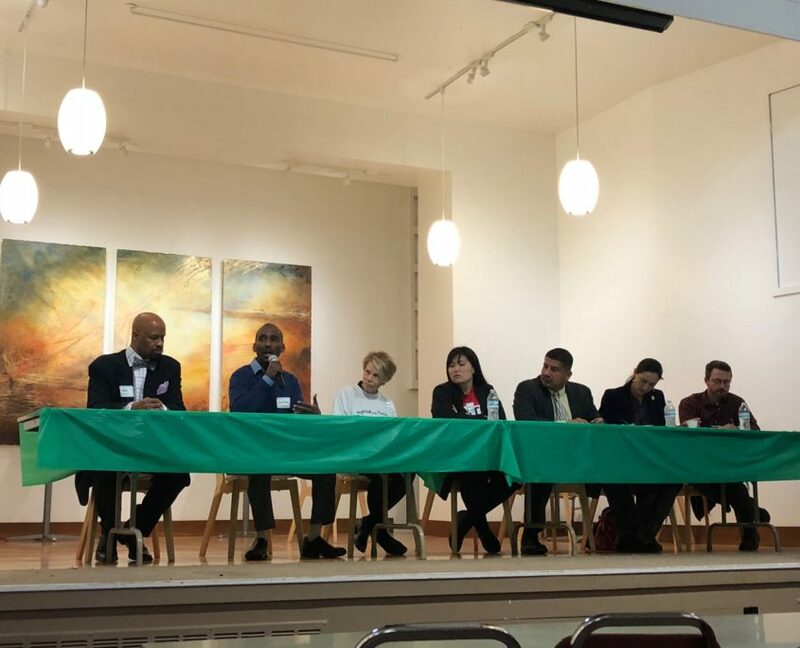 On October 26th, 2017, Fair Worker Center, Colectiva Legal del Pueblo, and the Seattle Workers for Justice Coalition co-hosted a workers’ rights tribunal to hear testimony from seven non-union iron workers. They spoke of horrendous working conditions experienced on publicly funded and private construction projects across the region. 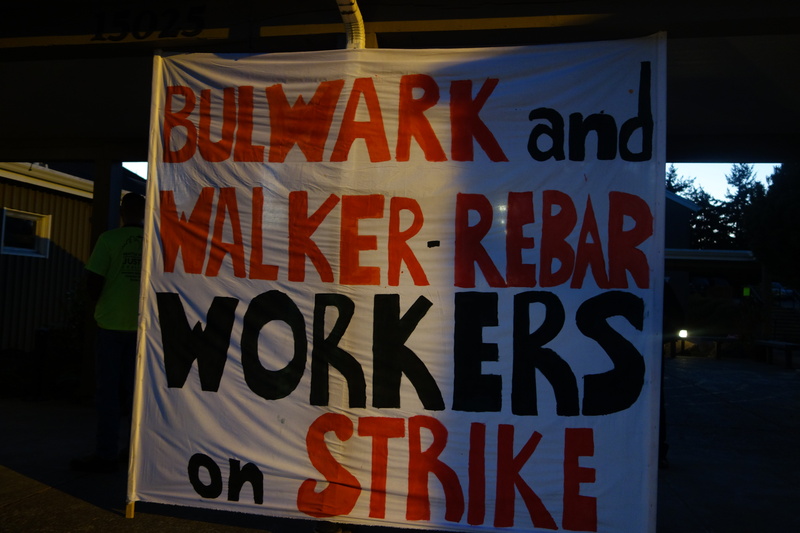 Many of these workers have been on strike against Bulwark Construction and Walker Rebar for the past year. The tribunal included community- and elected-leaders from the Puget Sound area. “When I began to work for this company [Bulwark], they never gave me the right training,” said Armando, who also said that despite working long days, he and his coworkers weren’t allowed to take breaks. 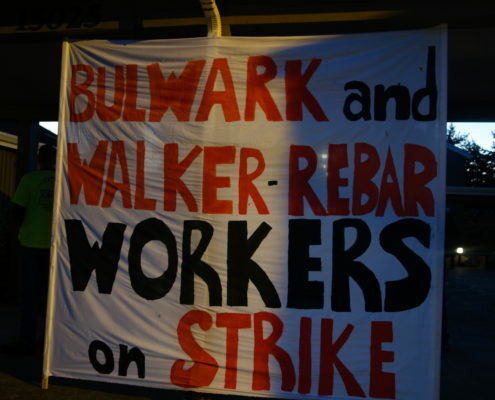 After hearing these and other workers’ testimony, the members of the Tribunal agreed to send a letter to Bulwark Construction and Walker Rebar condemning what they heard from the workers and calling on those companies to treat their workers with dignity and respect, comply with labor and employment standards, and recognize their workers right to form a union. Fair Work Center is helping draft this letter and will be part of the coalition of leaders and organizations that deliver it to Bulwark Construction and Walker Rebar. 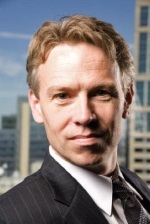 Greetings and welcome to the Fall edition of the Fair Work News! 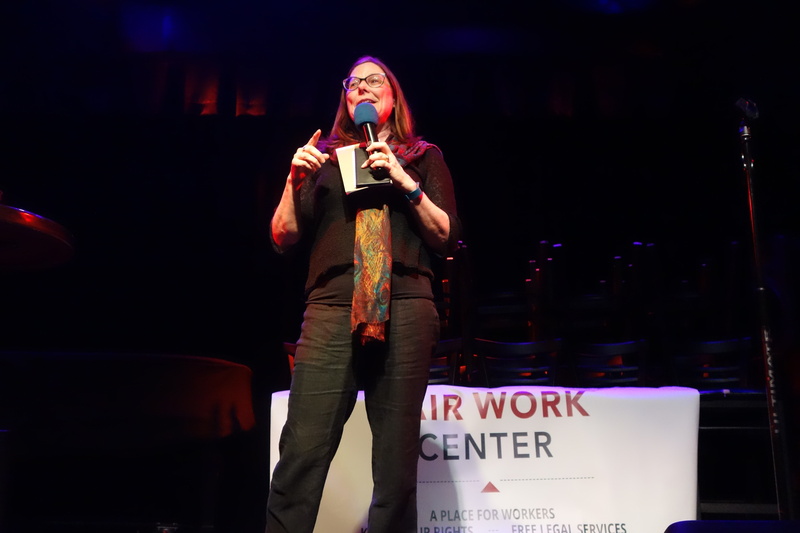 When Fair Work Center opened its doors in April 2015, we had an ambitious vision: a future where every worker in Seattle knows their rights and has the tools to exercise them. With your support, we are making incredible progress towards realizing our ambitious early vision. 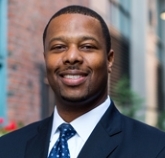 So it is with tremendous pride to announce that, after three years as executive director, I am moving on to new challenges with the goal of building a better future with policy advocacy. 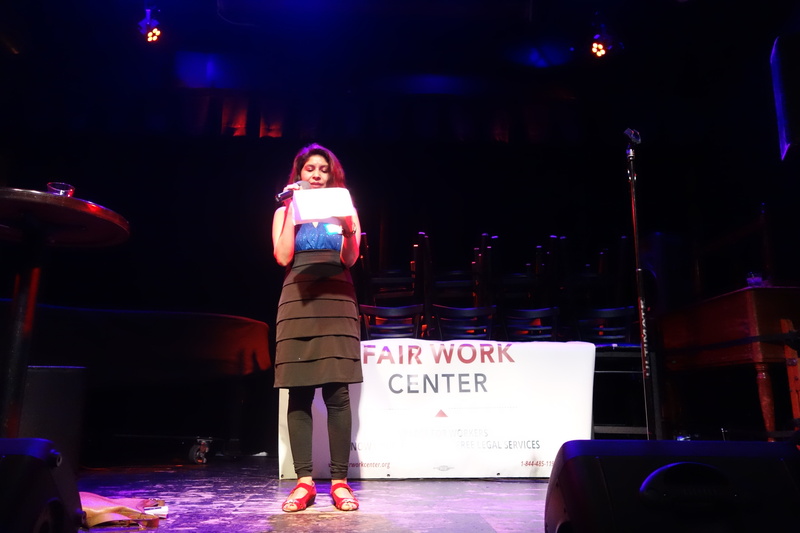 The Fair Work Collaborative is a partnership of 11 community based organizations convened by Fair Work Center to train workers, advocates, case managers and non-profits about their rights at work. Together, we’ve talked to more than 20,000 people about their rights at work since we started in October 2015. In 2016, we expanded our Know Your Rights outreach and education model to include health and safety trainings. Through a partnership with the University of Washington Department of Environmental and Occupational Health Sciences, we developed a curriculum and piloted a training program with more than 120 people trained. In September 2016, we officially launched the Fair Work Legal Clinic. In addition to becoming a fully functioning law firm within Fair Work Center, we are also training the next generation of employment attorneys. Students from the Seattle University and the University of Washington Schools of Law can now enroll in a Workers’ Rights Clinical Course that combines a rigorous academic curriculum with an active practice in employment law in our legal clinic. Since opening, the legal clinic recovered more than $400,000 for workers and provided legal information and referral services to more than 500 workers. Over these past three years, we have also played an active role in advocating for the enforcement of labor standards at the state and local levels. 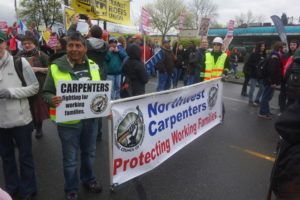 We’ve influenced numerous pro-worker policies, including: the 2015 labor standards enforcement bill, which gave Seattle some of the strongest local enforcement mechanisms in the nation; the secure scheduling ordinance; and the new statewide paid sick and safe leave law – Initiative 1433. And just this summer we advocated to help prevent the City of Tacoma from closing its labor standards enforcement office by cutting its budget. 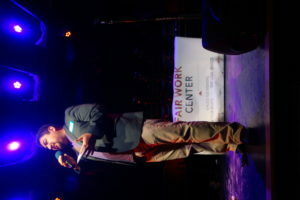 Fair Work Center also partnered with the Center for Innovation in Worker Organizations to inform and support the City of Seattle in taking on directed investigations – meaning the agency can investigate and file charges without an initiating complaint – which is critical for enforcement of standard in industries with high rates of workplace violations and low rates of reporting. Just last week, the Office of Labor Standards announced their ground breaking directed investigation program. I recently reviewed the initial three-year strategic plan laid out for this organization, and I’m proud to say that we met every goal laid out in that plan. I was recruited to this position to help create a new and innovative labor standards enforcement organization. We have done that. All of this work has been artfully executed by a visionary and talented team of people, and it is time for the next phase of this organization to continue under new leadership. My last day at Fair Work Center will be on November 22nd. However, I will continue to support our visionary board of directors and the organization’s new leadership through the end of the year. As a gesture of my enduring commitment to the success of Fair Work Center, I am signing up to be a monthly donor. I hope you will join me in matching my gift at $20 a month – please consider donating today! Thank you for your support of Fair Work Center. Greetings and welcome to the May edition of the Fair Work News, our quarterly e-newsletter. When I was the victim of wage theft years ago, I made the decision to ignore it. I didn’t know what to do or where to go. Asking for your rights shouldn’t be so hard, and it shouldn’t incite fear over losing your job. But it was hard and it did make me scared. Every worker should have the power to say to her boss, “Hey, my paycheck’s a little short,” or, “I need to be out sick today,” without fear of retaliation. I didn’t realize it at the time, but what I needed was a Fair Work Center. Two years ago, we set out to build an organization to ensure every worker in our region knew their rights and had the tools and resources to enact them. Today we are continuing to grow as an organization and expand our reach. We will soon have 10 staff. 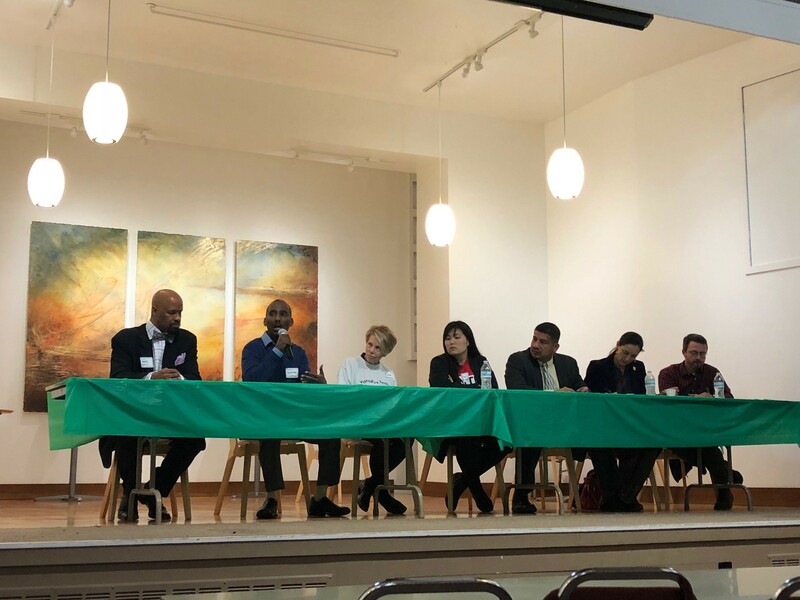 In our new contract with the Seattle Office of Labor Standards, we have 12 community partners committed to training workers 22,000 workers together. And we have a thriving legal clinic that has already supported hundreds of workers to achieve their rights on the job. In this newsletter, we provide updates on two cases that the legal clinic recently closed and two more that we are currently working on. But there is so much more to do. 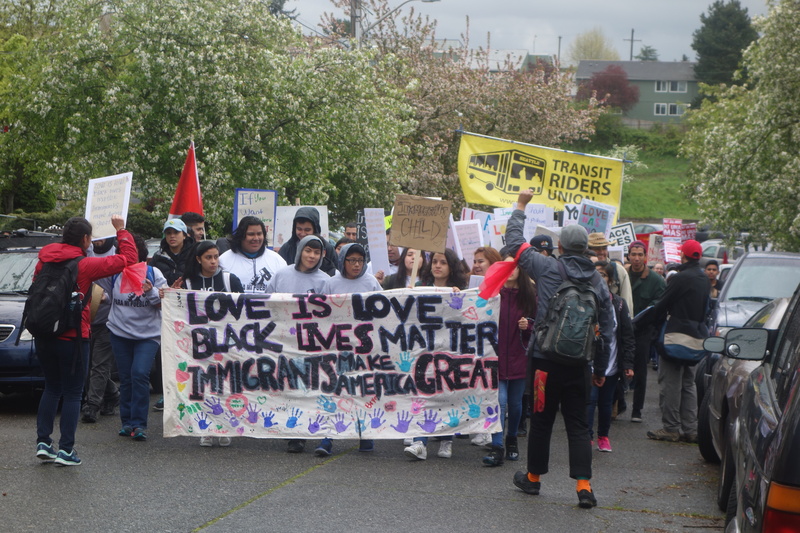 Earlier this week, we marched with thousands of people for worker and immigrant rights on May Day – International Workers Day. It’s a day for solidarity among workers across the country, but it also highlights the barriers to sustainable, fair work for immigrants in our country. If your immigration status is tenuous, retaliation on the job could result in tearing your family and your life apart. 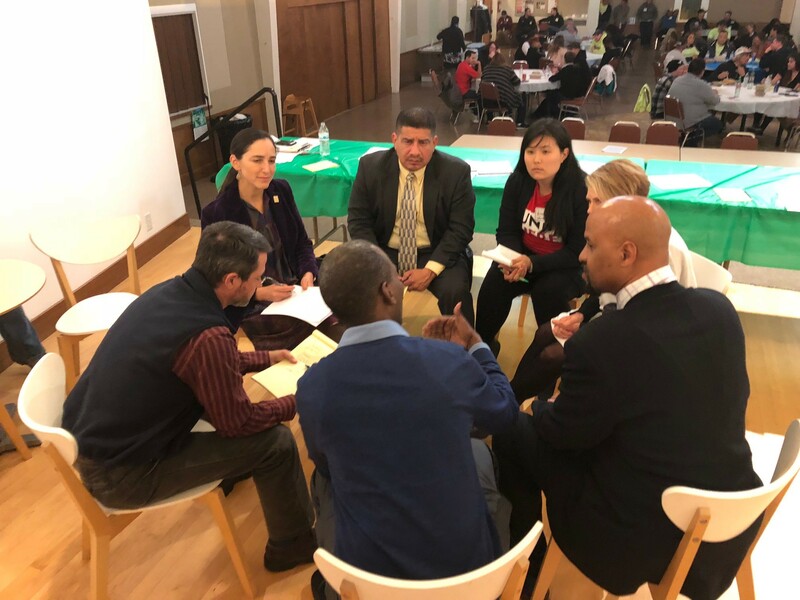 Fair Work Center is digging hard into the work of making sure our labor laws are implemented well and benefit everyone, regardless of national origin, primary language, physical ability, gender or race. We are working to make sure that Washington State’s new minimum wage and paid sick leave laws protect workers against retaliation and provide real remedies for workers when they are wronged. We are also launching a series of roundtable discussions to help government agencies identify and enforce labor laws while protecting the identity of workers – thereby adding another layer of protection from retaliation. Finally, I am excited to announce that we are launching a new leadership program for workers we engage with through our outreach, education and legal services. The Worker Power Training program will deepen workers’ understanding of labor and employment law, build workers’ skills for supporting and advocating for each other, and connect workers to others who are equally passionate about these issues. The story of Amina and Ahmed in this newsletter is a perfect example of how workers gain power by standing together. Thank you for your continued support of Fair Work Center. Fair Work Center is excited to announce that we are launching a new leadership development program for workers we engage with through our outreach, education and legal services. 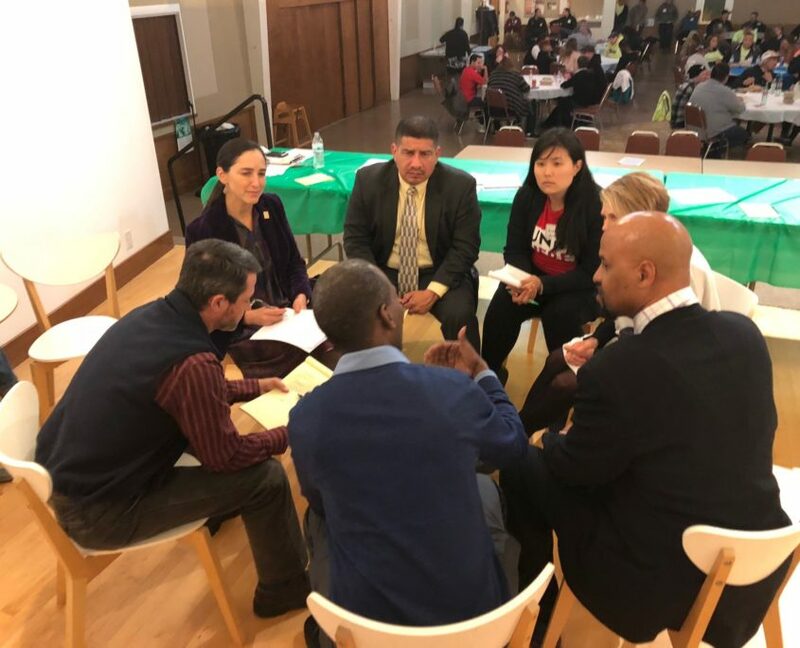 The Worker Power Training program will deepen workers’ understanding of labor and employment law, build workers’ skills for supporting and advocating for each other, and connect workers to others who are equally passionate about these issues. Fully informed workers standing together creates power for workers, especially in low-wage industries where employers often isolate and intimidate workers into remaining silent and compliant. 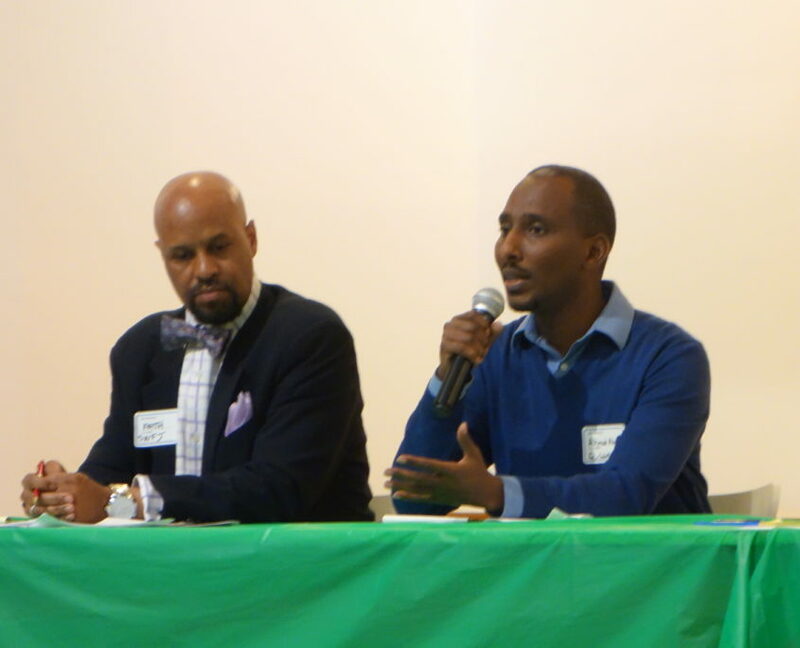 Take the recent example of Amina and the role our own Ahmed Abdi played as peer advocate. Amina, a Somali refugee and mother, has worked for years in commercial cleaning for one of the major subcontractors at the Seattle-Tacoma International Airport. About a year ago, Amina got a new shift supervisor, and it wasn’t going well. She was often reduced to tears by her interactions with him. He routinely yelled at her in front of other staff and in one-on-one meetings. She put up with his verbal abuse for months. She even tried to get transferred to another shift supervisor’s team but management said no. When Amina finally stood up for herself and told her supervisor he couldn’t keep treating her this way, she was told to turn in her ID badge and go home early. She thought she lost her job. A few days later she was called in for a meeting with her shift supervisor and the general manager. She thought for sure they were going to fire her. She felt that was unfair but she didn’t know what to do about it. Amina called her friend, Faduma, who had experienced her own problems at work but got support from Fair Work Center. 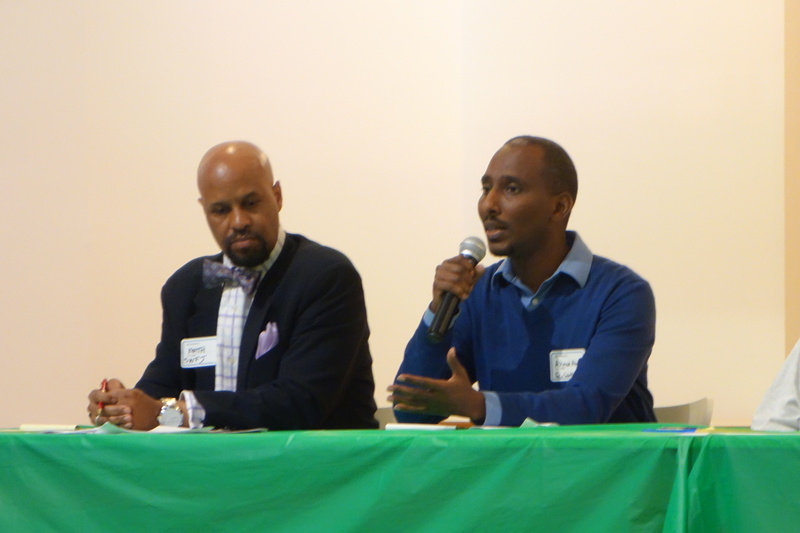 Faduma told Amina to call Ahmed Abdi, a leader in the East African community and our outreach manager. Amina asked Ahmed whether she should go to the meeting. It was 9:00pm and her meeting was the next morning. She was scared of what might happen and thought it might be best to not go at all. Ahmed told Amina to go and he offered to accompany her as peer support and translator. In the meeting, Ahmed steered the conversation away from the personal tensions between Amina and her shift supervisor to a more productive discussion on the quality of Amina’s work history, which was exemplary. Prior to her new supervisor, there were no formal complaints about her work over the years. Even her supervisor’s issues were based on her personality, never her ability to do the work. Ahmed helped cool simmering tensions and gave Amina the courage to tell her side of the story. At the end of the meeting, Ahmed and Amina were told to wait outside in the lobby while her supervisor and the general manager spoke in private. Five minutes later the general manager emerged, handed Amina her badge back and told her she would be transferred to another shift supervisor. On her own, Amina was afraid. She felt powerless. But with Ahmed standing with her, she had the courage to fight for her job. Now Amina knows she is not alone, knows she has rights on the job, and knows how to support other her co-workers or friends when they need it. We believe the Worker Power Trainings will strengthen worker leadership in our region. This leadership, in turn, will support other workers in standing up for their rights, as well as inform our work at Fair Work Center over the coming years. We are excited by this new opportunity and we hope you are too. If so, please consider supporting Fair Work Center with a donation to help us get this program fully resourced and off the ground. 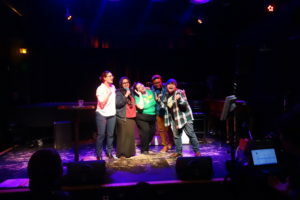 We had so much fun at Sing Into Spring, our karaoke fundraiser on March 23 at The Royal Room. More than 175 people packed the room and enjoyed good food, company and more than a few amazing karaoke performances! 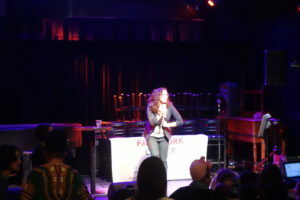 If you missed the fun, it is not too late to donate and support Fair Work Center. Check out some of our favorite photos from the night below. Here is an update on two cases we reported in our last newsletter as well as a sampling of two new cases. All worker names are changed to protect their privacy. Update on Kim’s case: Previously, we shared that Kim was paid just $1,000 per month as an assistant to a hairdresser, despite working 45 hours each week (less than $5.50 per hour). Her employer thought that she could take advantage of Kim’s immigration status as well as her desire to break into the personal care industry. 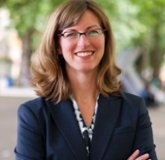 The Fair Work Legal Clinic represented Kim and filed charges on her behalf with Washington’s Department of Labor and Industries (L&I). Though L&I initially assessed $2,000 in back pay, which was as much as Kim expected, Danielle Kim, a third-year law student at Seattle University, didn’t stop there. She looked closely at the salon’s appointment log, parsing each appointment and determining how many hours Kim worked. Danielle proved that Kim was owed another $2,000 for her overtime and work off the clock. L&I agreed, ordering the employer to pay the full $4,000. Kim is thrilled with the result, but we at Fair Work Center believe L&I should go further in future cases. Currently, L&I does not require that employers include interest when paying back wages stolen from their workers’ paychecks. No matter how long ago the wage theft occurred or how long the investigation takes, L&I will allow the employer to satisfy its obligation paying only the wages that were due originally. Essentially, this means that employers can take a no-interest loan from their employees’ paychecks. Meanwhile, low-wage workers – who are disproportionately women, people of color, immigrants and refugees – suffer the consequences. Fair Work Center will continue to advocate on behalf of all workers to recover interest in all wage theft cases. Update on José’s case: In our last newsletter, we also told you about José, who worked as a painter for a large construction firm that misclassified him as an independent contractor. He came to Fair Work Center with some $2,000 in court fees after his initial lawyer abandoned his case. After we initially took the case, the employer approached us with a settlement offer of $750. But after four months of careful case development and hard negotiation on José’s behalf by the Legal Clinic – including outstanding work by Troy Thornton another third-year law student at Seattle University – José just accepted a settlement of $10,000. 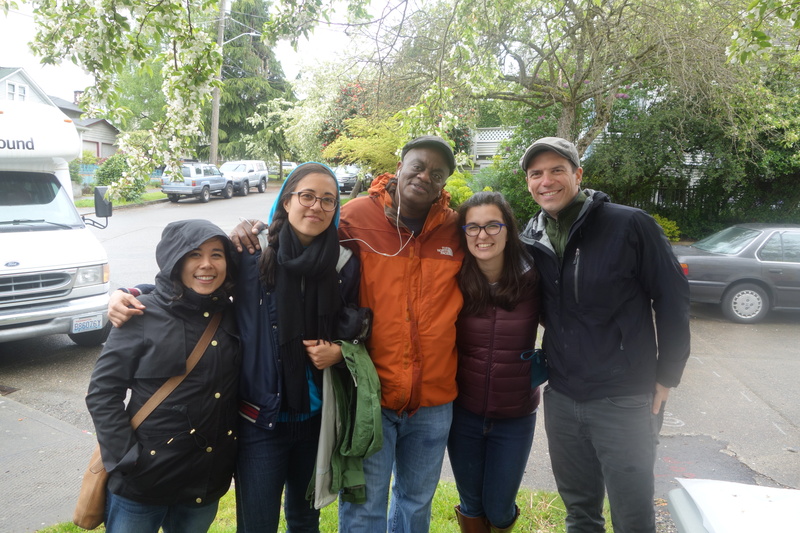 The Fair Work Legal Clinic took Jose’s case when no other attorney in Seattle would. Not because those lawyers didn’t care about José or believe in his case, but because our justice system is not set up to serve the needs of low-wage workers. For complex cases like José’s, with relatively modest amounts of money at stake, it is incredibly difficult for low-wage workers to get justice on the job. Here are a few more newer cases currently underway. Gova worked as a seasonal employee at a large department store in downtown Seattle. During her two months there, she suffered routine harassment from her manager, Susy. Susy said things like: “You don’t belong here,” and “I don’t understand your English,” and “Why don’t you go back?” Gova is from Mongolia. But Gova couldn’t afford to lose her job. While she was regularly harassed by her manager, she was also forced to work through many of her rest and meal breaks to ensure the retail floor was sufficiently staffed during the busiest time of the year. Not that Gova complained, she was a hard worker, but Human Resources noticed she wasn’t clocking out for meal breaks and insisted she do so. One evening, about halfway into her 8-hour shift, Gova asked for her meal break. Susy denied her break and told Gova to ask again in an hour, which she did. She was denied again. Recalling her conversations with Human Resources, Gova said that she had to take her break. The situation escalated when to the point where Gova was told to go home early from her shift. A few days later Gova learned she was fired. Gova requested an investigation and access to her employee file. Both requests were denied. The Legal Clinic has helped Gova gain access to her file and a written statement of the reasons for her discharge. 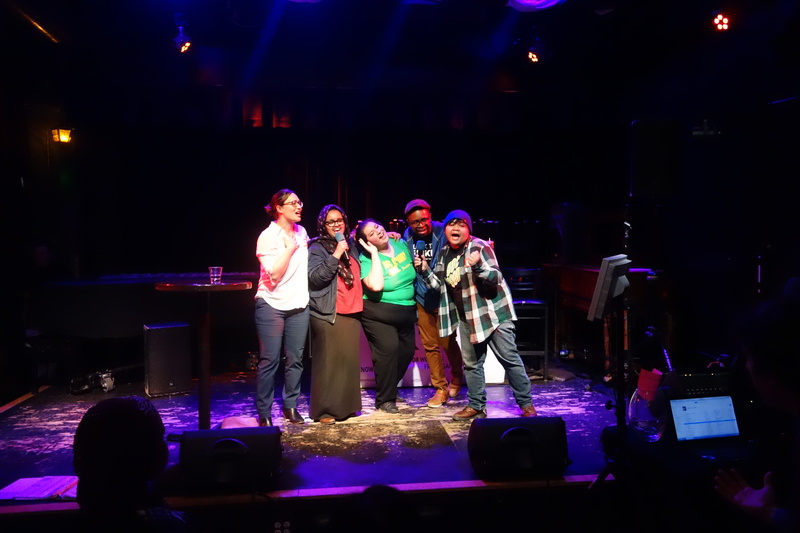 We are assisting Gova to file wage and hour complaints with the Seattle Office of Labor Standards to get Gova paid for her breaks, and we are working with Gova to explore her options for other actions against her employer. Amar is both a long- and short-haul truck driver. He worked for a single dispatching company and was told that, as an “independent contractor,” he would be paid for each successful delivery in an amount decided at the time of dispatch. Needless to say, the dispatcher never told him the amount he would earn at the time of dispatch. For the first six months, though, they paid Amar somewhere between $750 and $3,000 depending the length of the trip. In March, he was dispatched to a make a delivery in Ohio and headed out on this 10-day round-trip journey. Upon his return, the company told him that they could not pay him right then but would pay later. After several more unpaid jobs, he demanded payment and said that he intended to leave the company. The owner threatened his commercial drivers license – a not-so-veiled threat based on his perceived immigration status. The Legal Clinic is working to get Amar paid the correct amount for every trip her made. Finally, in a new and still developing case: Lucas is a cook at a local restaurant chain where is has not been paid overtime or provided rest or meal breaks. Other workers at the restaurant are in the same situation, though they are too frightened to come forward. The Legal Clinic has accepted his case and is hopeful to remedy Lucas’s situation as well as encourage his co-workers to come forward. 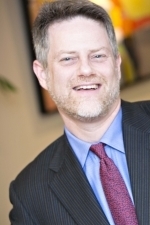 Dan Johnson: “I worked at the Employment Law Center in San Francisco in law school, and also volunteered at the workers’ rights legal clinic at my school in Berkeley California, where I went to law school. From there, I knew I wanted to do employment law, and I knew I wanted to work on the employee side. My values have always been to look out for the little guy. 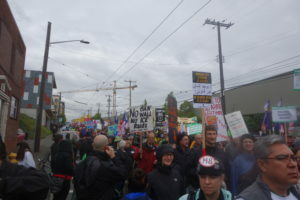 DJ: “Since I moved back to Seattle after law school, I really wanted to see something like the Worker’s Rights Clinics in California started here. But I couldn’t do it on my own and was too busy trying to build my own firm. So, I am really excited it has finally happened here with the Fair Work Legal Clinic. This interview was conducted over lunch with three attorneys from SGB’s employment law group. Lindsay Halm: At some point during law school I became convinced that I was going to be a public defender or a plaintiff’s attorney. I wanted my career to focus on helping people who really need it. I am truly thankful to get to do the work that I do. Jamal Whitehead: As someone who is part of several protected classes, I want to make sure the playing field is fair for all. 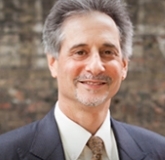 Adam Berger: Marty Garfinkel at our firm pulled me into employment law. I became really involved in the Brink’s Home Security case and have been hooked ever since. The changing nature of work in our country today is one of the biggest challenges facing workers, and we see that taking many shapes: misclassification of workers (when employers classify workers as independent contractors instead of employees to avoid having to comply with labor standards employees are entitled to), more part-time jobs with little to no benefits, and the rise of the gig economy. The nature of work today makes it nearly impossible for low-wage workers to build a better future for their families and achieve the ever-elusive American dream. 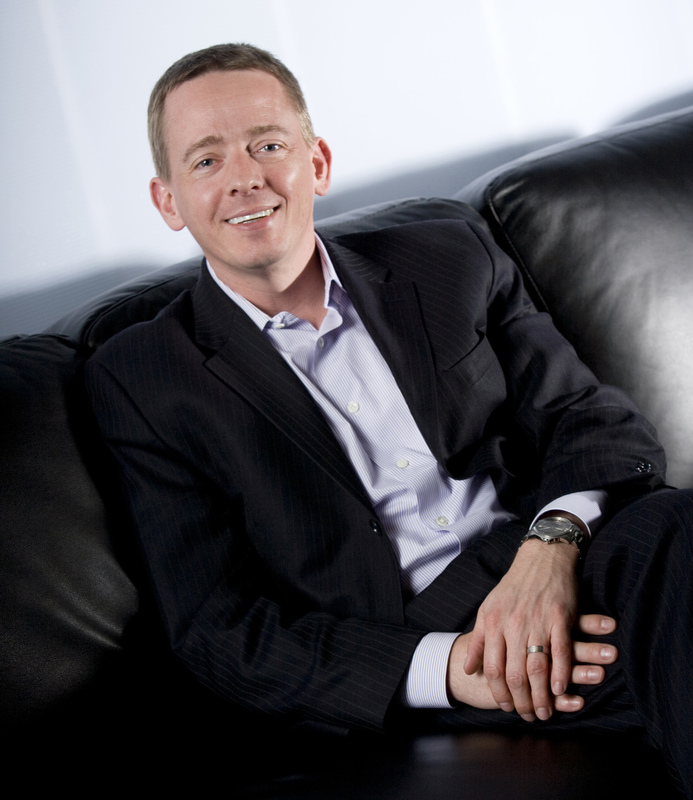 Another issue we see is increasing fragmentation of the workplace. Many people don’t know who their employer is or who they technically work for, given the prevalence of subcontracting today. If you clean the offices at a tech firm downtown, is your employer the tech firm or the contractor they hired to clean? It is incredibly difficult to hold your employer accountable to following the law if you don’t know who, exactly, is your employer. n-union workers. 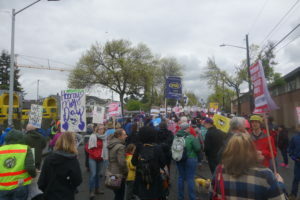 It also means, of course, that workers don’t have the power they need to negotiate better wages and working conditions. We really see Seattle as the testing ground for implementing and enforcing multiple cutting edge laws aimed at lifting up and protecting workers. 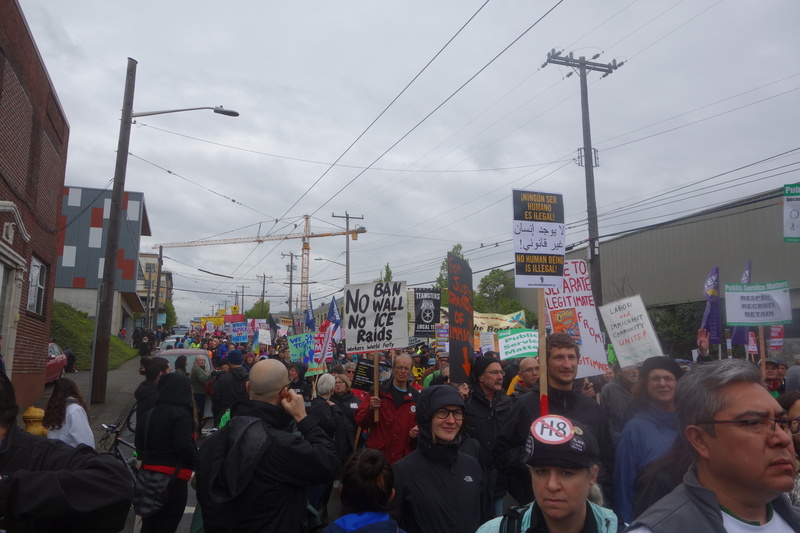 We hope Seattle continues to lead the country in this regard. Everyone in our employment group recognizes that there is a huge outstanding need to support the high volume of small claims that many private firms like ours do not have the capacity to take on. 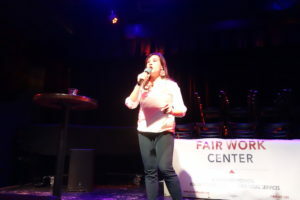 Workers need greater access to justice, so the work of Fair Work Center and the Seattle Office of Labor Standards is incredibly important. 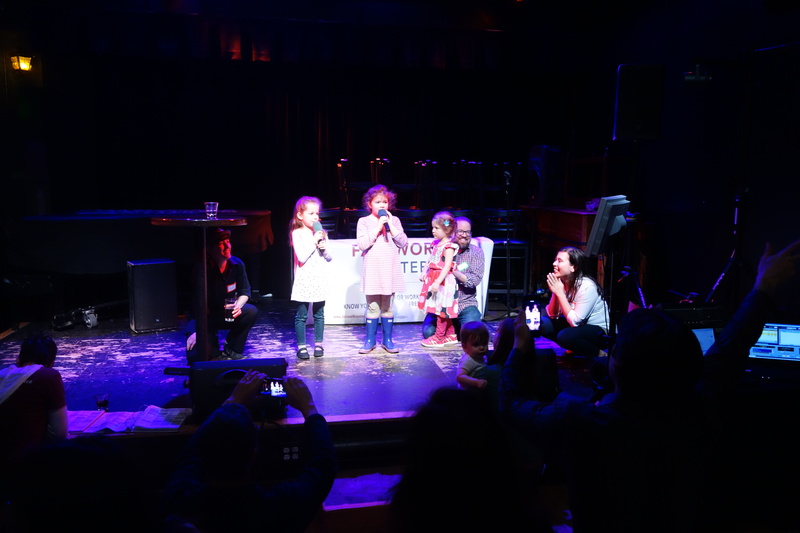 We support Fair Work Center because it is helping to fill this hole in our local legal community by supporting Seattle in implementing its new labor laws and providing support to workers with small claims and other issues on the job. And the fact that Fair Work Center provides hands-on training and mentoring to students at our local law schools helps shape the future generation of lawyers into allies and advocates for workers. Bravo! Going into law school, I knew I wanted to practice some sort of civil rights or constitutional law when I got done. At the time, I would have guessed I’d go into a career with someplace like the ACLU. And I actually did work for the ACLU for a couple of years early in my career, but it was as a summer associate at a labor and employment firm in the Bay Area that I got a taste for plaintiff-side employment law. So I took more labor and employment courses and by the time I was done with law school and after two federal clerkships, I knew it was the area of law I wanted to focus my career. Elections matter. Changes in the courts matter. I have been through some different administrations, but we are now dealing with the greatest challenge we have seen since the New Deal. We are going to have an administration that will be the most anti-worker, anti-union administration since Calvin Coolidge. I think workers are in for a host of challenges – from gutting labor standards to attacks on unions to undoing some of the good work the Department of Labor has been engaged in under the Obama administration. I would like to get rid of employment at will – the employment law principle that allows employees to be discharged for no reason. I believe ending it would help both employers and employees. It would improve both the appearance and the reality of fair treatment in the workplace. I would like to replace it with some sort of cause provision, similar to what you see in union contracts. I think it would help lead to faster resolutions for both sides, help avoid costly litigation, and, as we see among workers with cause provisions in their union contracts, it makes a big difference in the empowerment of workers to have greater control over your conditions at work. There are so many unmet needs in terms of resources for workers to exercise their rights, particularly fair wages. 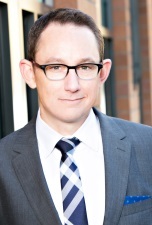 Private law firms don’t have enough lawyers to do the work, and even with the current system that encourages attorneys to take such cases on, a lot of cases still don’t make sense for a firm to take on financially. A clinic has different goals and orientations and can provide more resources to the people who need it and to people who might otherwise fall through the cracks. Also, we fully support the Legal Clinic’s role in training the next generation of lawyers that will devote their lives to help working people achieve their rights. How long have you been working in the labor movement, and where did that desire to commit your life to this work come from? I have been working in labor movement for over 25 years. I grew up middle class, in large part because three generations of my family before me were members of labor unions. Whether it is my great grandfather, the distillery work; my grandfather, the auto worker; or my mother, the teacher, American workers having unions gave birth to the middle class. I became politically active in high school and college and fell in love with the progressive movement. When I thought about how I could make an authentic contribution to that, it was the labor movement that stood out as the best fit for me. I didn’t know where I wanted to end up when I graduated from college, I had been involved in union organizing campaigns by that point, as well as a host of other progressive causes. Until I could find the right direction for my life, I figured I could try organizing for a year. And then a year later I never wanted to do anything else. Where did the idea of Fair Work Center come from? The big idea was: it’s great to have standards, it’s great to have rights, but if people don’t know about them, and if they’re not enforced, it doesn’t do you much good. If you are lucky enough to have a union, you get your rights enforced through your union contract. There are staff and leaders whose job is to make sure you know what your rights are. There is someone you can call if you have questions or if you feel like you are not treated correctly. But for the vast majority of workers in the low-wage economy who aren’t going to be lucky enough to have a union any time soon, who plays that role? That was the question: how do create a path for these workers to know their rights, enforce their rights, and be connected to organizational support. We looked at a number of worker centers around the country that were doing inspiring work to try to help workers enforce their rights one on one, but they often struggled budgetarily or lacked sufficient staff capacity to do what we wanted to do, or they were often targeted to a very specific group of workers. 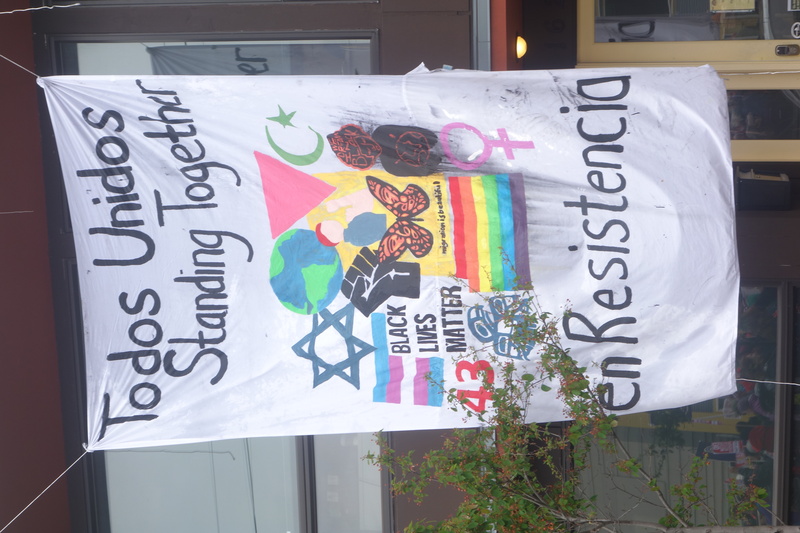 We looked at the Brazilian Worker Center in Boston, the Korean Immigrant Workers Association in Los Angeles, the Coalition of Immokalee Workers in Florida, the Better Builders Program in Austin. All these groups are doing awesome work, but those models didn’t quite fit what we were trying to do. 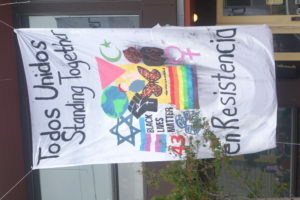 Here in Seattle we wanted to do something that was multi-lingual, multi-cultural, and nonspecific to any one industry. So Fair Work Center is inspired by the work of many others, but it is really the only thing like it around the country. Why would SEIU 775, a labor union of long-term care providers, invest so much in this new type of worker center? 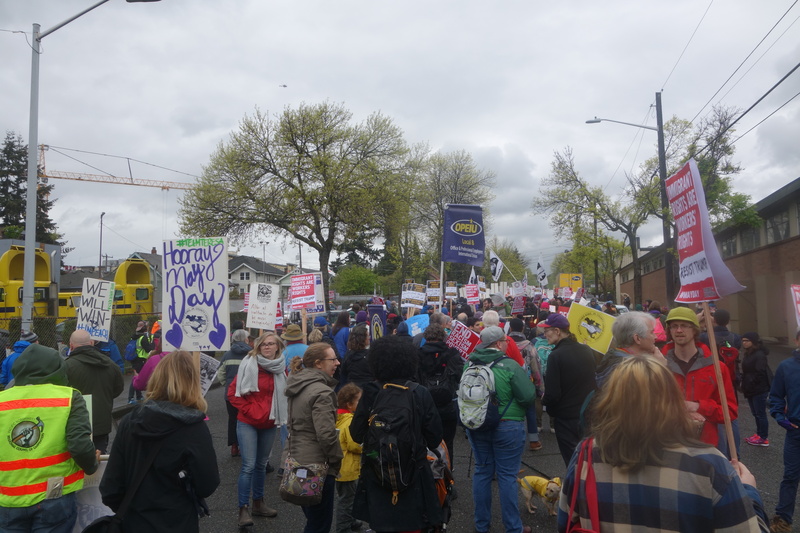 SEIU 775, as well as other SEIU locals and the international union, have been very committed over the last few years to worker struggles beyond just those of our membership and beyond our industry. SEIU 775 played a leading role in the SeaTac fight, not because there were nursing homes at the airport, but because we fundamentally felt that it was a transformative campaign that we needed to win. When we formed Working Washington, which is another of our important community partners, that was really in part to address the widespread economic damage that the great recession did and that Wall Street, the big banks and indifferent politicians perpetrated on working America. Throughout our history – and we’re pretty young as unions go, we were founded in the early 2000s – we have always remembered that if other workers in other parts of the country hadn’t committed their dues dollars to help SEIU 775 get founded, we wouldn’t even be here. From early on, we’ve had a commitment to bringing worker power to not just the people that already have it, but to everyone who needs it. It’s really part of the DNA of this organization. This is what we do. We have four goals that guide us, two of which are health care industry specific, but two are much broader. One is to build powerful, sustainable and scalable worker organizations, and the other is to lead the fight for shared prosperity and against inequality. If you could do one thing to improve the welfare of working people in the United States, what would it be? Here is the thing, it’s not just one thing that needs to be done! There is a whole host of things that need to be done. Everything from changing the way our financial systems work to changing the way our election system works. From changing the way we think about the social contract to changing the way we think about the employment contract. I always say that power is the currency of change and that policy is merely frozen power. So if we want to see change in policy, we have to think about how to accumulate and exercise power. The corporate interest and big business interests have been excellent at that for a long time. Working peoples’ interest and poor peoples’ interests have often not been so great at thinking about the accumulation and exercise of power. As I think about all the ways in which the world conspires to hurt the interests of workers, I think about the fact that the system has been rigged in so many ways against ordinary people expressing power. In response to your question, someone might say, “well if we just had a single payer health care system…” or “If we just had universal free child care…” or “Free higher education…,” Those are all awesome things, and I am for all of those things, but I’m not sure we can ever get there as long as workers don’t have organization. So if I had to pick one relatively narrow thing, I’d say we need new ways for workers to form powerful, scalable and sustainable worker organizations in the US. If I were to think more broadly about a theme, I’d say we need a government that is on the workers side. And that plays out in trade agreements, in criminal justice, immigration rights, corporate governance and monetary policy, campaign finance reform and certainly in labor law reform. The reality is that for 40 years, the relatively bloodless revolution that Wall Street and the big banks and big corporations fought against the rest of us, rewrote the rules about how power works in this country. So even if I could wave a magic wand, it will be a long hard struggle to get back a really inclusive and accessible American dream that we can all be a part of.